This November the EDAG group once again offered the opportunity for Formula Student teams to apply for the Integration Excellence Award. 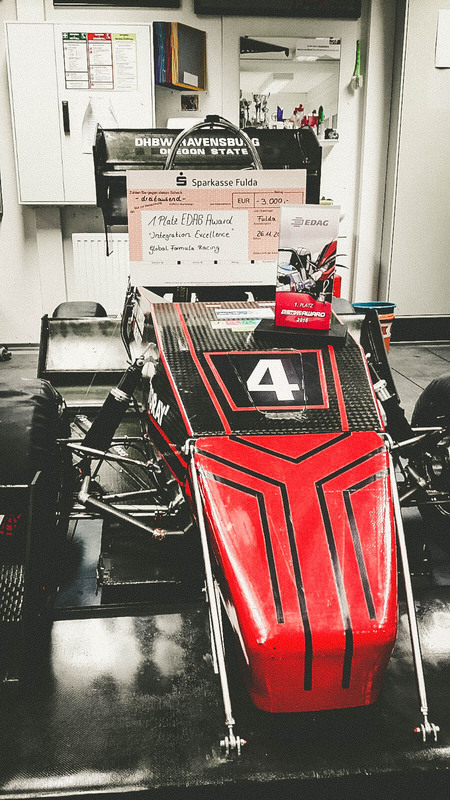 EDAG especially sets their focus on the best possible integration of new innovations and solutions into a Formula Student racecar. We applied this season with the development of a universal aerodynamic concept for racecars of the GFR platform and were asked to point out the most important aspects of our product development process. 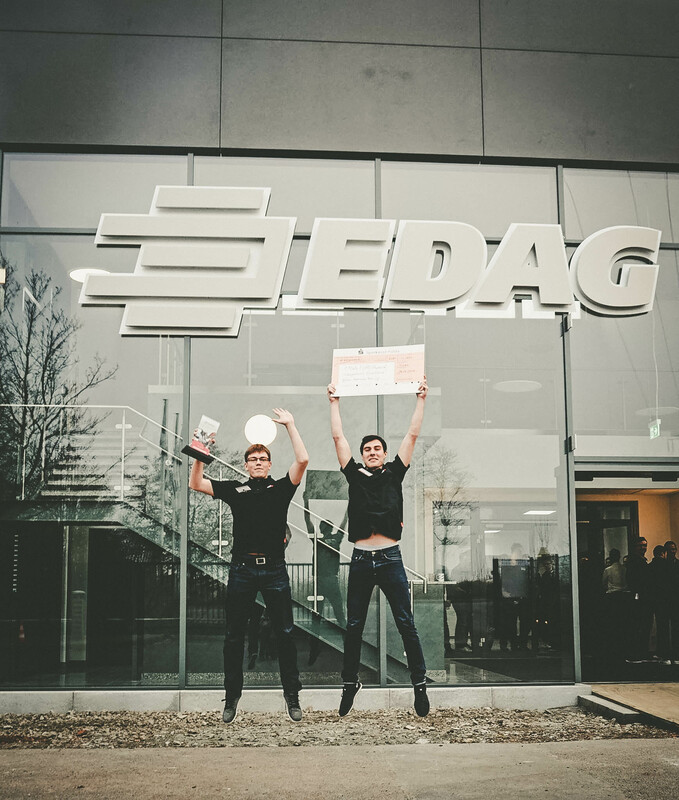 As last season, we got the opportunity to participate the finals at the headquarters of the EDAG group in Fulda with four other teams. By giving a short presentation to the judges and answering several questions we were able to further point out the highlights of our aerodynamic concept, like our partially unsprung undertray. Moreover, we put a special emphasis on our project management tools as a global acting team, how we effectively approach the associated challenges of an international racecar development and most important, how we plan to optimize both our aerodynamic concept and our management tools in the future. Having convinced EDAG with our development processes we were able to win the first place. During the event we also enjoyed to meet the other finalists from Formula Student Team Weingarten, FaSTTUBe from Berlin, Rennteam Stuttgart and FastForest from Deggendorf. We would like to once again thank the EDAG group for this interesting event, the great award and the valuable discussions!